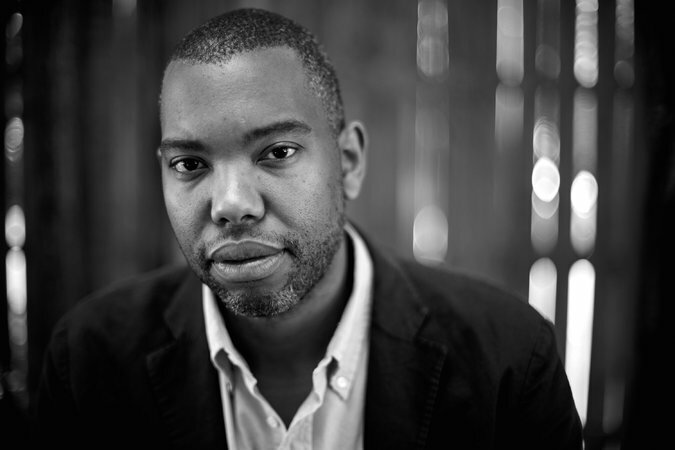 Acclaimed author Ta-Nehisi Coates, whose work confronts many of the most challenging aspects of race in modern America, will be the 2017 Ruhl Lecturer at the UO School of Journalism and Communication. Coates is the author of “Between the World and Me,” winner of the 2015 National Book Award for nonfiction and the 2016-17 UO Common Reading book selection. Incoming UO freshmen will read and discuss the book over the course of the coming school year. “We are honored to bring Ta-Nehisi Coates to the SOJC for the 2017 Ruhl Lecture, and we are grateful to the generous donors who give us the ability to bring speakers of his caliber to the University of Oregon,” said Julianne Newton, interim Edwin L. Artzt Dean of the journalism school. The Robert and Mabel Ruhl Endowment, which has supported an annual Ruhl Lecture since 1974, was established by Mabel W. Ruhl to foster mutually beneficial contact between the University of Oregon School of Journalism and Communication and the mass media. It honors her late husband, Pulitzer Prize winner Robert W. Ruhl, who was editor and publisher of the Medford Mail Tribune. The 2017 Ruhl Lecture, made possible in part by the school’s Hearst Foundation Visiting Professionals Endowment Fund, will be open to the public and takes place on the UO campus Feb. 3. Details will be announced this fall on the school’s website and social channels. Coates’ lecture will also be recognized as part of the UO’s new African-American Presidential Lecture Series, which will bring a range of African-American scholars and practitioners to campus during the 2016-17 school year. Coates’ lecture, titled “A Deeper Black: Race in America,” will tackle the systemic racism and racist policies that have been inseparable from the growth of the nation. Coates is known for engaging his audiences in meaningful discussions about what it means to talk about race today. He covers current events as well as themes from his writing while exploring such questions as: How can we reconcile the deeply entrenched and ongoing racist acts of our society — including the recent killings of unarmed black people by law enforcement — with the nation’s supposedly post-racial identity, and what does it mean to occupy a black body in America today? When he’s not writing award-winning books, Coates — who was hailed by the New York Observer as “the single best writer on the subject of race in the United States” — is a national correspondent for The Atlantic, where he writes about culture, politics and social issues. He received the George Polk Award for his cover story “The Case for Reparations,” the National Magazine Award for his essay “Fear of a Black President” and the Hillman Prize for Opinion and Analysis Journalism. He was a Martin Luther King Jr. Visiting Scholar at the Massachusetts Institute of Technology in 2012 and a journalist-in-residence at the City University of New York Graduate School of Journalism in 2014. And last year he received a “genius grant” from the John D. and Catherine T. MacArthur Foundation. The African American Presidential Lecture Series will bring a variety of other speakers to campus next year. The series is a response to issues raised by the Black Student Task Force. A working group led by music professor Rodney Dorsey drew up the recommendation to support President Michael H. Schill’s commitment to increase diversity, equity, inclusion and support for black students at the UO. The series will feature authors, scientists, innovators, world leaders, game-changing policymakers, authors and artists who will share concepts, information and perspectives for the intellectual enrichment and development of the UO community.